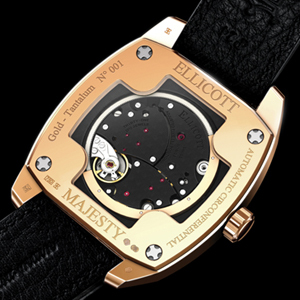 The Majesty watch, created in tribute to King George III, is a worthy heir to the proud English watchmaking tradition, combined here with time-honoured Swiss know-how. 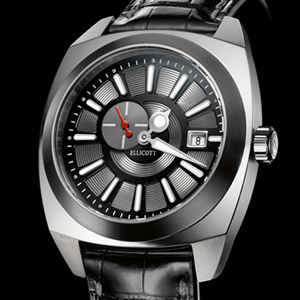 Its circumferential rotor guaranteeing a 70-hour power reserve heralds a new era in the field of self-winding movements. 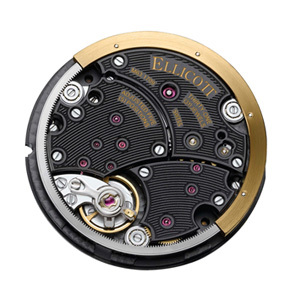 The case-back opening highlights the full complexity of this mechanism, while the rounded cushion-shaped case carved from a block of gold or titanium makes a fine contrast with the tantalum or gold case. 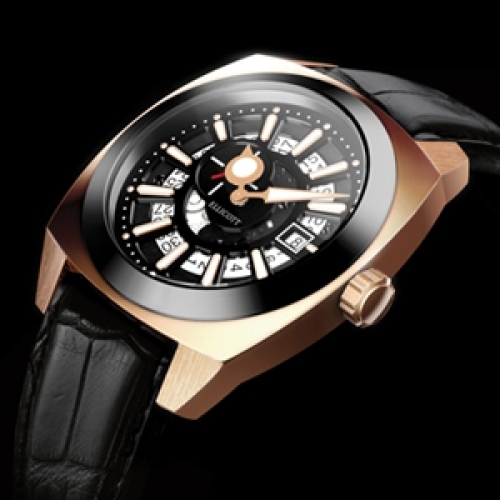 This timepiece distinguished by an innovative and contemporary design is dedicated to modern gentlemen and issued in a 99-piece limited edition.